CELEBRATION, Fla. – In the fall of 2019, Disney Cruise Line will return to favorite destinations and home ports on a variety of itineraries, including adventures to Bermuda, Bahamas, Baja, Canada and the Caribbean. 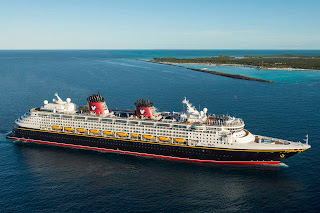 With cruises ranging from two-night getaways to week-long vacations and beyond, this season of sailings offers countless opportunities for families to delight in Disney magic, explore exotic locales and make lifelong memories together. Follow the Disney Parks Blog, Disney Cruise Line Facebook page and @DisneyCruise on Twitter for daily updates about Disney Cruise Line.